Want to win a Fujifilm Instax Camera? Free vouchers? Just join in this contest! Worthy book is a booklet offering great deals from many top brands. They are having a contest, "Favourite Female Brand Outlet" for all! You just need to follow a few simple steps and you stand a chance to win it! Step 1: Log on to Facebook, and click on the contest link (https://www.facebook.com/worthybook/app_528524883827983) & Like Worthy book's facebook page! Step 2: Click on the "Submit an Entry", fill up your personal details, upload a picture & write your reason for choosing this brand. This is my lousy reason, as an example for you guys. 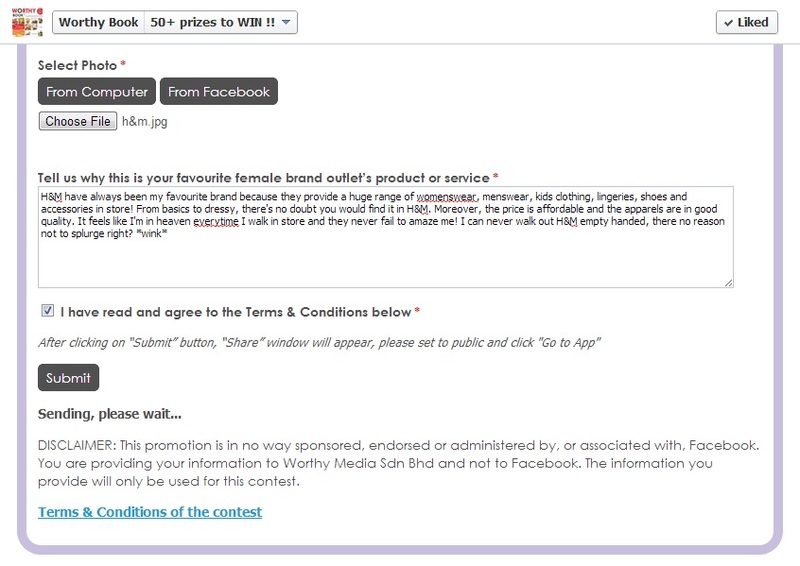 Step 3: Press submit your entry, follow the instructions and WOILA YOU'RE DONE! Now you can start praying that you're chosen like me (please pray for me too) and keep your fingers crossed! Best Photo, Best Reason, Most Voted & A lucky voter! Best Photo Prize – Based on aesthetic & originality qualities of photo. Best Reason Prizes – Based on details and practicality of reason given. 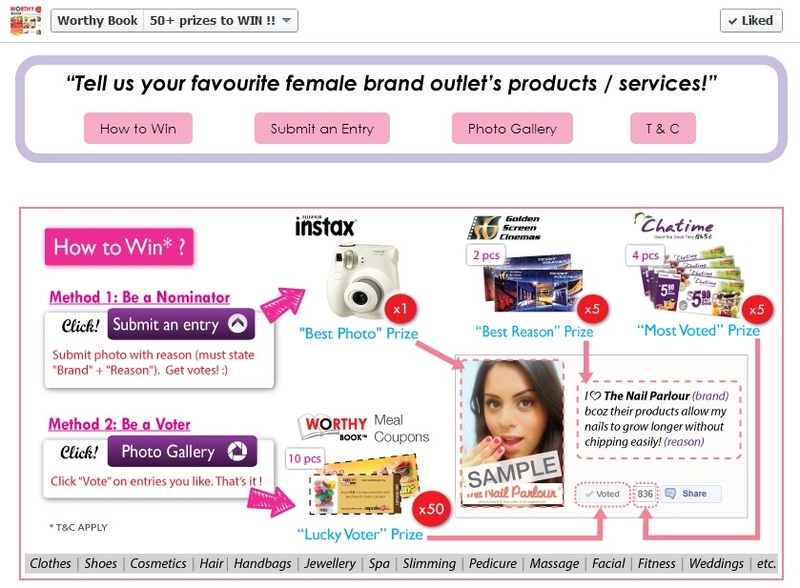 Most “Like” Prizes – Based on entries with the most votes. Lucky winners will be selected from pool of voters on random basis. Each person can vote for more than one entry. *Winners will be contacted by email for prize collection arrangements.